If you are a budding author looking for some help and inspiration, search no further! With BBC Radio 2 launching their 500 words competition last week, it inspired us to get involved and help any nimbl budding authors to take part. We know that sometimes, even the greatest authors hit a writing block and might need some help and guidance on how to get started, deciding on characters and storyline! 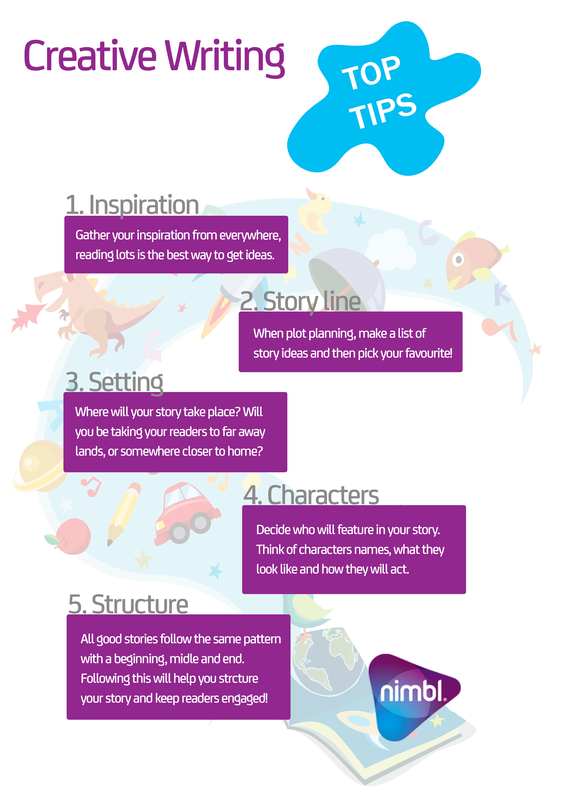 So we have created a great creative writing top tips infographic, which you can print off below! Reading and writing is such an important part of child development and we encourage all of our nimbl users to get creative and submit their best 500 words. You can take a look at the full details of BBC Radio 2’s 500 words competition here.